Hide deals from seller "Beauty Box Hair Salon & Spa"
Limit 1 per person; may purchase 2 additional as gifts. Valid for a shampoo, haircut, blowdry and style. By appointment only. Promotional value expires 180 days after purchase. Transform your tresses with 50% off a haircut, shampoo, blowdry and style from Beauty Box Hair Salon & Spa in Logan Square ($50 value). Whatever your hair’s length, this fantastic cut and style will leave your hair looking healthy, shiny and stylish. Beauty Box Hair Salon & Spa’s fun location and easygoing vibe make it a perfect stop for convenient and high-quality haircare, manicures, pedicures and more. 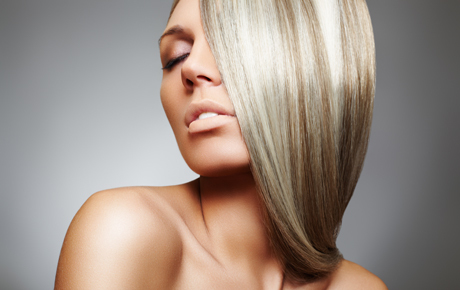 This full-service salon boasts a knowledgeable staff and wealth of beauty information. Men and women are both welcome at this inviting, comfortable salon. Get hair-prepared with this deal from Beauty Box Hair Salon & Spa. Hair salon and spa in Logan Square offering stylish haircuts as well as nail and waxing services.